Wrestler Randy Savage‘s bad heart caused him to crash his car and die, according to a medicalexaminer’s report. 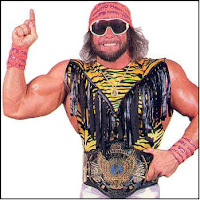 The fighter, dubbed Macho Man, died after losing control of his car in Tampa, Florida in May (11) and smashing it into a tree. Reports suggested he suffered a heart attack behind the wheel – and this has now been confirmed by the Pinellas County Medical Examiner. Savage, real name Randall Mario Poffo, was 58 when he died. His wife Lynn, who was a passenger in the car, escaped with minor injuries.